I've decided to upload a GM hosted event on a GM's view. This was hosted at midnight, so there were "only" about 110 online. So, yeah. The way our events work is pretty much identical to GMS. that vid would be nice to watch if it wasn't private. Odd. Normally I upload all my videos as "unlisted". Fixed. Also, we've released some new .wz's in preparation of Temple of Time and Magatia, as well as some graphical fixes that Nexon screwed up. 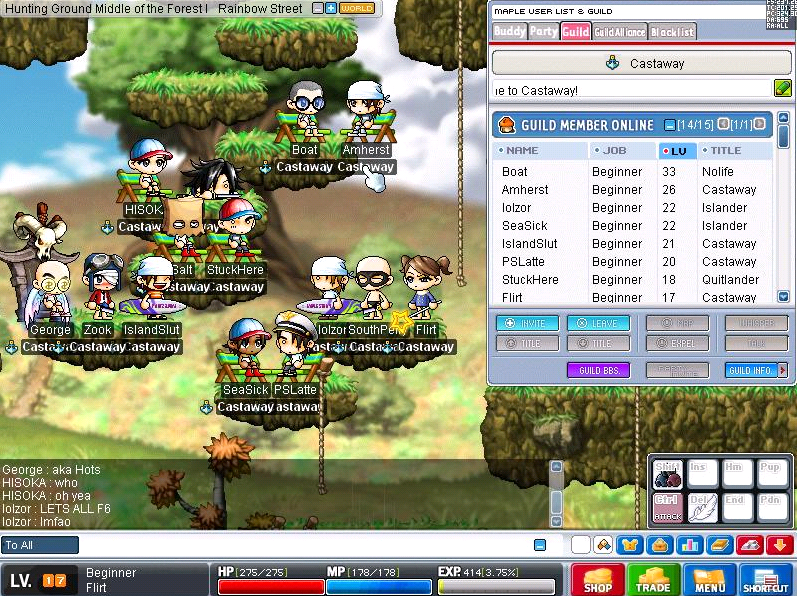 Due to our recent adding of the Islander ranking there are lots of Islanders around MapleLegends. ?? in guilds and GPQ were never fully working in a v0.62 server before. Last edited by Kimberly; 14-10-15 at 11:58 AM. No, and won't be soon. Next on our list is 100% GMS-like HTPQ and Horntail battle. After that, most likely Marriage and APQ. Today we had another maintenance for patches and updates after our big Leap update. Most of those were never bugs before but appeared after the Leap update. They are now once again fixed. Looks clean. Will check this out. Hopefully no trojan in the download. Nope. Our client is one of the only ones that are actually clean, unlike other clients where at least 20 or so anti-viruses pick it up. MapleLegends just had another big patch. Guild Leaders now have the ability to properly increase or decrease the alliance rank of the members of their guild (Alliance leader has the ability to manage the alliance rank of all guilds members in the alliance). Guild Leaders now have the ability to transfer their guild leadership to one of their junior masters by speaking with Heracle in the Guild HQ. This option will only be available for 5,000 Donor Points. Winston's quest to Eliminate Monsters can now be completed without a workaround needed. Didn't know that V62 still attracted players. Seems like you've got some solid development going on. A small patch has been released today to fix some issues. You should now be able to buy Transparent Hat, Shoes and Shield again for regular Cash. Fixed an issue where after leaving a guild you re-join it by Changing Channel. Re-fixed an issue with the Sparta item. Mastery Book effect when learning a skill or upgrading one should now work 3rd person, so you can celebrate together. MapleLegends will attempt to improve even further with the use of Community Polls. Similar as Old School RuneScape MapleLegends will try to make slow changes (.wz changes, possible server changes) based on community feedback. This way MapleLegends stay the Old School server everyone wants, but also receive the things that were better from the later versions, or even lower versions, like the old in-game logo. There's two community polls up right now. This Thanksgiving, the turkeys are fighting back. 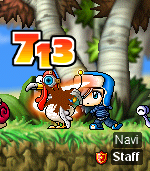 Find these crazy Turkey Commandos around the Maple world defeat them to pickup valuable Thanksgiving items. Additionally, Turkeys will also be dropping Green and Yellow Turkey Eggs, which can be exchanged with Cody for some cool prizes. For every Yellow Turkey Egg you exchange, you will receive a one-of-a-kind Owl of Minerva (found in your Use inventory). You can only hold one at any time, so make sure to use them up. Green Turkey Eggs are much rarer, and you may receive a unique reward if you happen to find one. To celebrate the great sales that come with Thanksgiving weekend, Fredrick will be selling Owl of Minervas for a limited time only. Make sure to stock up and take advantage of a door-buster deal. During this event period, there will be a 10% bonus on EXP, Drop, and Meso rates. Thanks for playing MapleLegends, and we hope you enjoy the events!